Æthelflæd, the Lady of the Mercians is a little known figure in early Medieval history who is starting to get her due. 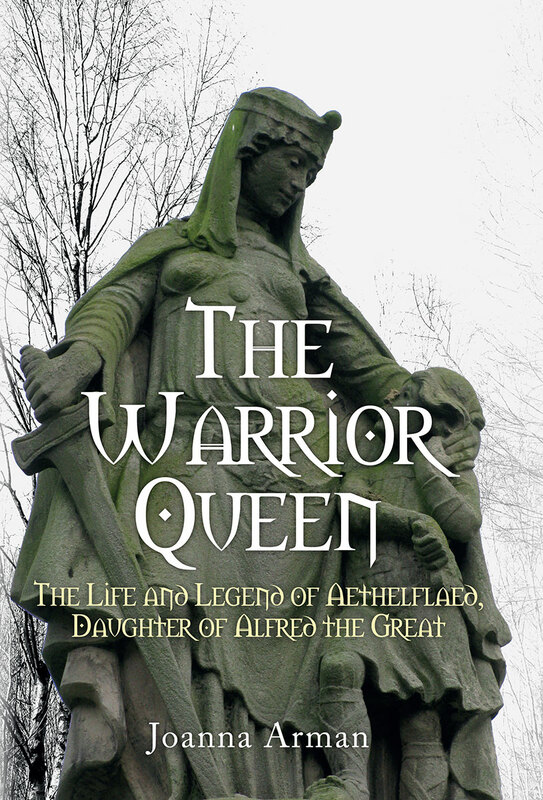 The daughter of Alfred the Great and ruler of Mercia she helped defeat the Danes and bring about a unified England. In a new biography Joanna Arman chronicles the life Æthelflæd from her birth to her reign as an esteemed political and military leader. Almost 1,100 years ago, around 12 June in the year 918, the daughter of Alfred the Great died. While staying at Tamworth, the ancient capital of the equally ancient Saxon kingdom of Mercia, the royal lady was taken ill and passed away. Aged around forty-eight at the time, she was at the height of her power. In the ten years before her death, with the forces of Mercia she had reclaimed, or secured the submission of, most of the towns and cities of Mercia that had been held by the Vikings since the closing decades of the previous century. In a final political coup, her influence had reached the formerly great kingdom of Northumbria where the Vikings of York had been preparing to offer her their submission. age Æthelflæd was scarcely mentioned, her Iron Age counterpart Boudicca being more favoured, probably for the characteristic she shared with Elizabeth I: her famous red hair. 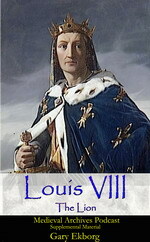 The obscurity continued into the early modern period, until the rise of the Victorian flair for all things medieval. So it was that, less than 100 years ago, in the year 1918, the Lady of the Mercians attracted sufficient interest for a statue of her to be raised outside Tamworth to mark the anniversary of her death. (Similar statues of her father had been raised in Wantage and Winchester to mark the anniversary of his death and his ascension to the throne.) The statue was a somewhat romantic representation typical of the time, but nevertheless it is a useful representation of the ambiguous nature of Æthelflæd’s life and career. The right arm of the statue rests on the shoulder of a young boy, almost certainly her nephew Æthelstan, yet the other hand rests on the hilt of a sword. She is nurturing and motherly, looking down tenderly at the boy who was virtually her adoptive son, but simultaneously is prepared to defend her kingdom and her people as a woman in the ‘traditionally masculine sphere of warfare’. Though in her childhood she was a daughter of Wessex, the connections with Mercia ran deep in her family. 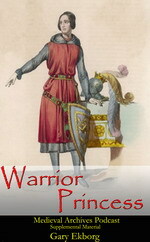 Her own mother, Ealswith, was a Mercian of noble (some even say royal) lineage. Her aunt had been married to Burgred, a man considered to be the last fully independent king of Mercia before the Danish takeover of parts of the kingdom. At the age of fifteen or sixteen she was married to Æthelred, ‘Lord of the Mercians’ and erstwhile ally of her father, who she may already have met sometime before. Æthelflæd would spend the rest of her life in Mercia, with the exception of some military campaigns and visits to neighbouring kingdoms as co-ruler and consort for her husband. In Mercia, she may well have continued her tutelage as a political leader alongside her husband and the nobles of Mercia. When she emerges into the full light of history in the opening years of the tenth century, it is as an active and assertive political figure, whose counsel and assistance is sought by her people in time of conflict. Soon afterwards, her husband’s death is reported – in the year 911. It is then that she appears as the leader of Mercia, leading attacks on Danish-held towns and establishing her own fortified settlements. Clearly, something almost unprecedented had happened: the Mercians had chosen this capable woman to be their ruler, in preference to a male relative or submitting the King of Wessex. Her apprenticeship in Mercia (and even in Wessex) must have shown then that she was fit to rule and to lead, and the faith of the Mercians proved to be well placed in the seven years of her personal rule. The Mercian Register, a short subsection within the Anglo-Saxon Chronicle that was begun under her father, accounts for her career as a round of military engagements and sieges, with towns being established. On the basis of its record, it is tempting to see her as the archetypal warrior queen – a sword-wielding Amazon leading her war band into Danish territory and personally fending off attacks on her kingdom. Yet the realities of the time reveal that rulers had to be more than just successful warriors. How did Æthelflæd fulfil the expectations of her role, and command the loyalty of her people? How did she survive, let alone achieve victory in a world so fraught with treachery, danger and intrigue, when ruling was often a recipe for a short life? Also, how is it that that Æthelflæd was one of only a handful of medieval women who took on the role of a man, but did so entirely without incurring the censure or wrath of male commentators? Henry of Huntingdon, the eleventh-century canon of Lincoln, was particularly enamoured of Æthelflæd, saying that she would have been praised as king and hailing her as more famous than Caesar. Other chroniclers of the following two centuries were also apt to praise the Lady of the Mercians for her bravery and courage, as well as her moral virtue. I will argue that one famous twelfth-century clerical chronicler, William of Malmesbury, used her as a moral exemplar for his own generation, in which another formidable woman was involved in a struggle for power: the Empress Matilda. Through his writings, and those of his successors, Æthelflæd would enjoy a historical afterlife that lasts to our own day; but like her father, she would also become a legendary figure onto whom later generations could project their own priorities, attitudes and expectations. It is in the process of answering the questions posed above that a new picture of Æthelflæd emerges, more complex than that found in any individual chronicle, record or novel. She emerges as a woman who was by turns pious and ruthless, an astute politician and a patron of learning – a warlord, a mother and a wife. Her life and legacy may defy many modern expectations and preconceptions about women in the Viking age (and the medieval period more generally), as well as what they could achieve. 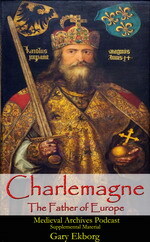 Support Joanna and Amberley Publishing as they continue to publish great history about the Middle Ages! 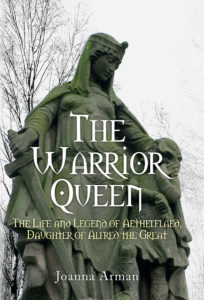 You can order The Warrior Queen: The Life and Legend of Aethelflaed, Daughter of Alfred the Great now from Amberley Publishing! Joanna Arman is currently a PhD Student at the University of Winchester, researching Women and Feudalism in the Late Middle-Ages. She has a passion for the Anglo-Saxon period and researched Æthelflæd of Mercia, daughter of Alfred the Great, as the subject of her MA research. Very fascinating lady for her time it appears. The recent series ‘The Last Kingdom’, shows her as being an independent figure but I would suspect a good deal of poetic licence behind this version, so thankyou for enlightening me.